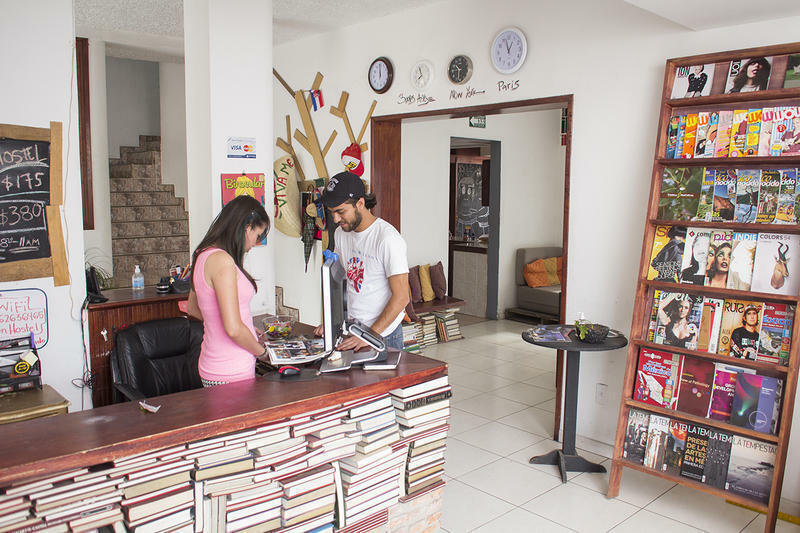 Lion Hostel is a restored downtown house, creating a stylish backpackers hostel 5 blocks from famous chapultepec street, and close to guadalajara City's main attractions. We offer inexpensive and stylish accommodations for our guests in shared and private rooms. 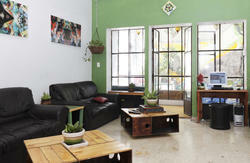 Lion Hostel also has a Garden terrace (BBQs every week! ), Pub/bar with terrace, a common area with a TV and DVDs, a full kitchen, free computers and Wi-Fi, lockers, and a delicious free breakfast every morning! We have special rates for long stay! payment method: cash, credit card. By car: If you go from the central truck (from east to west) take Av Lazaro Cardenas up to Mariano Otero (a yellow arches) you turn to your right and go straight until you reach Av. Chapultepec take up to av av vallarta there turn left go straight until you cross av americas. on the next block there we are!